© 2014 Mike Rodriguez International. All rights reserved. "Effective time management starts with a compass and not a clock." In my professional opinion, outside of a lack of training and resources; time management is probably the largest single contributor to lost productivity, frustration and stress in life and the workplace. As a business leader, an author, a sales expert and professional business coach, a leading challenge I see is ineffective time management. This tells me that the majority of people are aware of the serious impact of ineffective time management. It also tells me that most people aren't aware of how to effectively manage their time. The challenge with most time management programs is that they are complicated and ineffective, leading the user to discard them quickly. Daily Organization through Discipline and Decisions. This strategy allows you to OWN YOUR CLOCK. To clarify the definition, COPE means to "deal effectively with something difficult." Think about that. 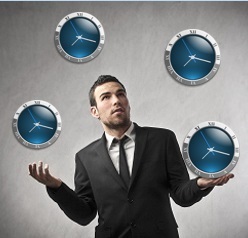 Time management is in fact something difficult and our program allows you to effectively deal with it. 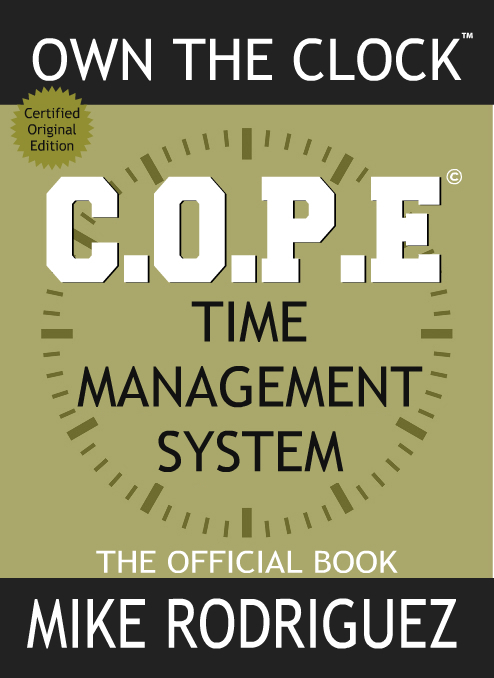 For the program name, C.O.P.E is the trademark system based on my extensive research of many people and business professionals. It is an effective system that will allow you and your team to take ownership of your daily tasks to improve your productivity and reduce your stress. How is the C.O.P.E system taught? First, we conduct a thorough preliminary interview/consultation of you and/or your staff to understand the tasks and events that happen within your average day. Then, we complete an analysis of RISK areas and their current impact on your business. Afterwards, we design the training based on your needs and your environment. This allows you to have a session that is not only relevant to you, but that your team can understand and start implementing immediately. The course can be covered in a half day, one day or two full day sessions, depending on the size of your staff. 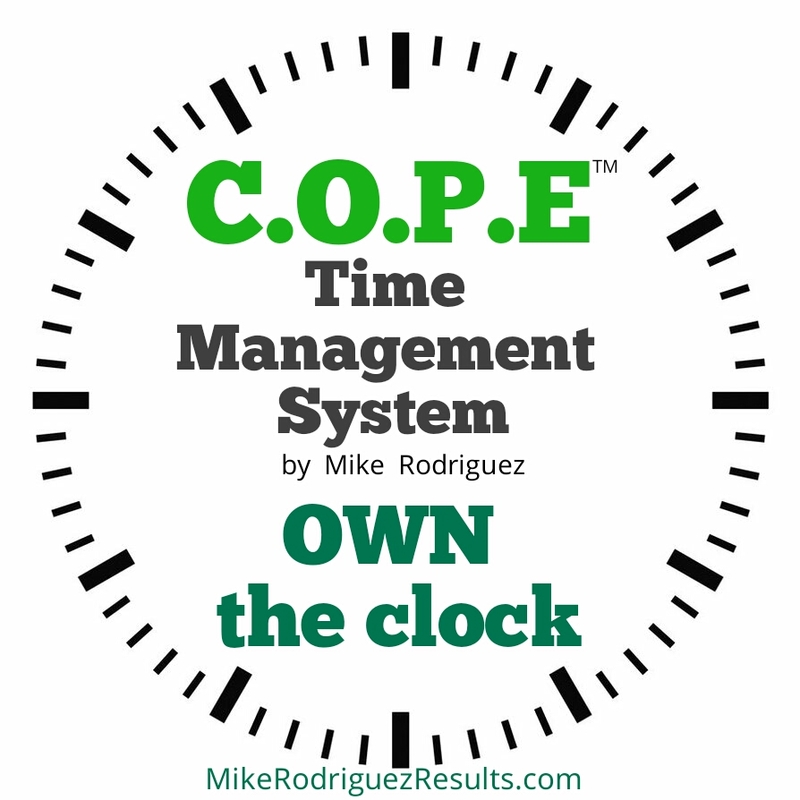 What are the benefits of the C.O.P.E System? You will have a sense of accomplishment and peace. Schedule a Training or a Seminar with your team!